Driving growth through category assortment variety while minimizing duplication is a hot industry topic and a key retailer objective. 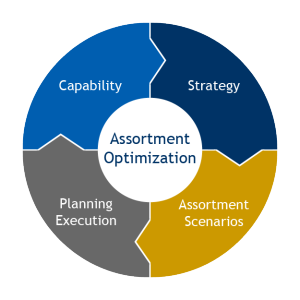 Critical to a manufacturer’s success is understanding & aligning with the retailer on the strategic assortment parameters, such as corporate objectives, target shopper and category role and then establishing the optimal assortment to drive category and brand sales & profitability across different store formats. Leading manufacturers are constantly developing their capabilities to provide detailed, tailored assortment recommendations that are grounded in strategic direction and that can be executed across store formats and locations. Diagnostic Evaluation: Assess relative distribution gaps and size of the prize to gap-fill. Prioritize customers, benchmark their capabilities and requirements for collaborative assortment planning. Assortment Strategy: Develop market coverage guidelines by channel, target retailer and within target retailer by format & cluster, using TPG’s “True Variety” analytics approach. 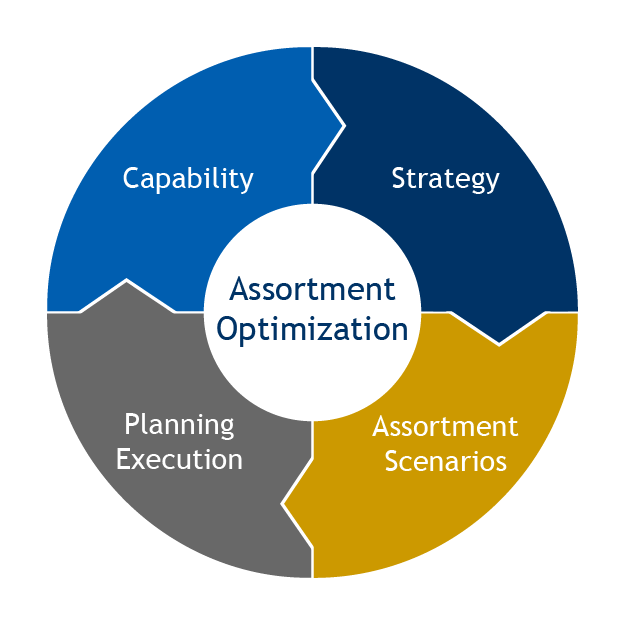 Assortment Scenario Application: Develop specific assortments and review them internally to identify clear opportunities and implications for both manufacturer and retailer. Program Materials / Selling Story: Build customer selling materials that shape the assortment recommendations into a compelling go-to-market collaborative presentation. Set targets & expectations of success for the customer teams. Pilot: Support pilot customer teams to prepare them to sell, evolve and execute final assortment recommendations. Organization Capability: Skills development through a tailored blended approach including workshops, web, roadshows and competency evaluation. Tool Design / Acquisition: When a systemic “assortment engine” is desired, TPG creates recommendations and plans to enable technology selection.